Karen Wang is a photographer and outdoor adventure lover whose work has been highlighted by REI, Outside Online, The Trek, and more. She grew up in Texas and never really experienced much as a kid, so after college she decided to pack everything she owned into a car and drive up to Seattle to start a new chapter of life with no job, no friends, and no direction. Little did she know, that move would be something that would change her life forever. Karen discovered the outdoors only three years ago and fell in love immediately. She loved the wilderness so much that she decided to thru-hike the Pacific Crest Trail in 2016 but made it only 1,818 miles due to injury. She is currently pursuing mountaineering in Washington state and plans to finish thru-hiking the PCT this summer. In this episode, Karen and I talk about fear, specifically the fears associated with being a beginner in the outdoors which is an experience that she and I share. 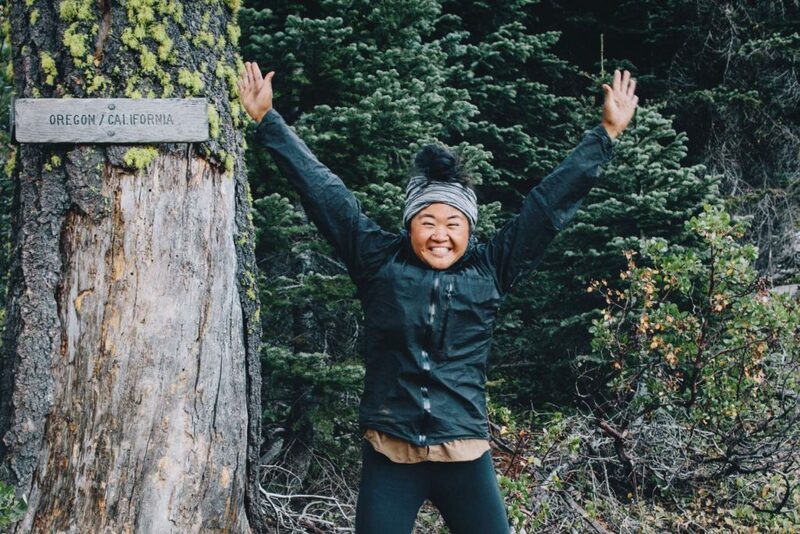 She talks all about her PCT hike in 2016, including the heartbreaking story of needing to end her trek early due to injury, and she also shares about the fears she's been conquering lately in order to make her dream of mountaineering and glacier travel a reality. It was such a treat to talk to another woman who is also relatively new to hiking and outdoor adventure, and if you're looking to push yourself out of your comfort zone in any way I bet you'll love hearing from Karen as much as I did.